We would like to offer Alpaca Farm Owners the opportunity of promoting their Alpaca Farms on our Web Site for free. 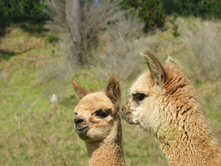 Promote your Alpaca Farm through the creation of a dedicated web page on our AlpacaPictures.org web site which will then be listed in our directory of Alpaca Farms located around the World. 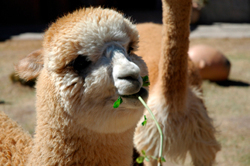 Alpaca Farm Owners just need to provide us with some basic details about their Alpaca Farm and then we can begin the process of creating their dedicated Alpaca Farm web page. The information we need from Alpaca Farm Owners should include a few paragraphs of text copy describing their Alpaca Farm, and if desired we can also include up to three image files for their Alpaca Farm web page. 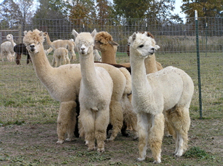 Alpaca Farm Owners interested in having their Alpaca Farm promoted on our Web Site for free, please be sure to contact us.